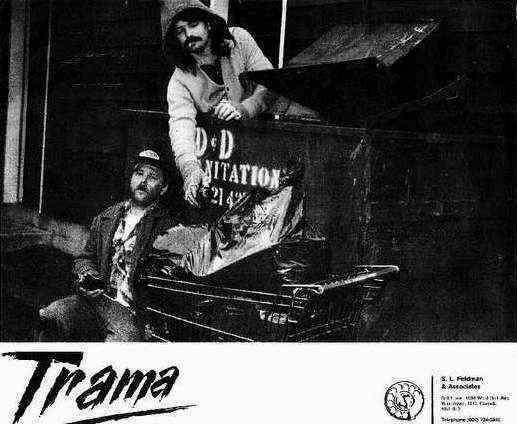 Trama was started in 1980 – a few months after Shama broke up as an attempt to get Jeff Neill and Michael Sicoly working again. 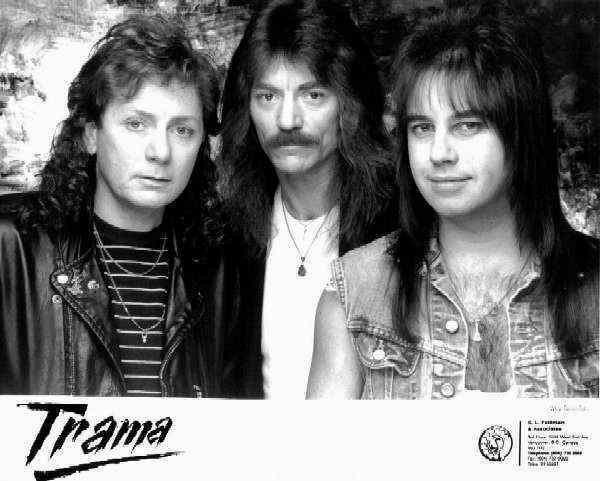 The original line up was Jeff Neill, Michael Sicoly (from Shama) and Tommy Stewart from Trooper (hence 'TRAMA"). 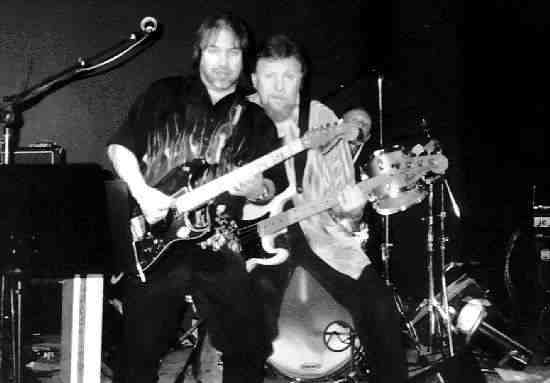 When Tommy had to leave to go back on the road with Trooper, Jim Vallance was brought in. 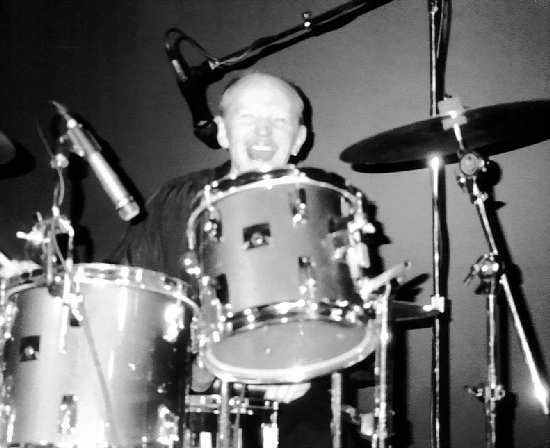 (Late 1980) When Jeff Neill was offered a position in 'Streetheart', I was brought in with Michael Sicoly and Jim Vallance. 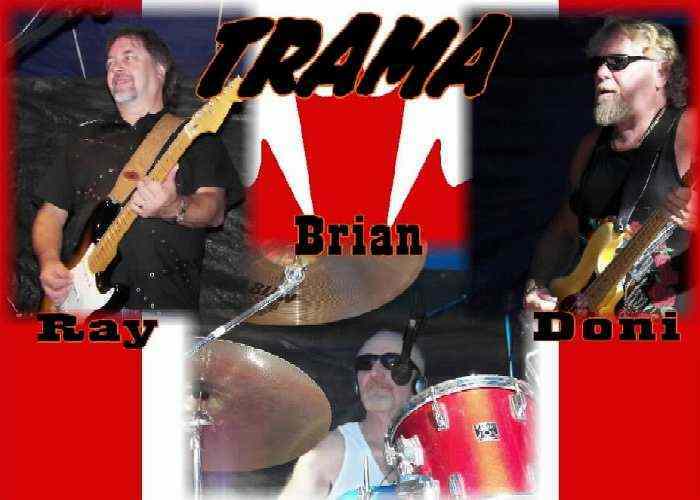 When 'Bryan Adams – You want It You Got It' took off, Jim wanted to stop playing live to concentrate solely on writing songs with Bryan, so Tommy Stewart came back into the fold in 1981…that line up of me, Michael Sicoly and Tommy Stewart lasted until April of 1984…when Trama 'broke up' with a last week at 'Rockin Tonite' in New Westminster BC. Some of the other Pacific Northwest music groups represented in this band include: Trooper, Stonebolt, Shama, Streetheard, Paradox and many other NW bands.